The men of the Congregation meet on the 3rd Saturday of each month. During this time of fellowship, they enjoy breakfast, followed by a Bible study/Discussion, and fellowship. So, if you are a guy looking for a great way to meet the men of the Congregation and love to eat, here is a perfect chance to do both! If you have never taken the opportunity to come to this, please consider coming. 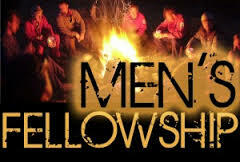 It is a wonderful time of fellowship and Ministry!